Pressure washing, or power washing, is an affordable way to wash surfaces outside your home. This can be done on outer walls, patios, decks, concrete, driveways, roofs, limestone, and more. Getting these surfaces cleaned regularly can increase the value of a property as well as decrease future damage from mold or plants growing in cracks. While everything is getting cleaned and looking amazing, the value of the property will increase as well, meaning it’s a great idea for those looking to sell a property in the near future. So many of us accept a dirty driveway as a fact of life, but it doesn’t have to be. Our pressure washing systems can loosen oil and car fluids to prevent slipping, odor, and concrete damage. Keep your garage or driveway looking freshly paved with our pressure washing services. Patios and decks are wonderful for cookouts, family affairs, and simply spending time outside, so it can be awful to look at and can cause damage over time. Our pressure washing will not damage your property and it will leave it looking newer than you could ever imagine. Limestone is beautiful and can increase the value of a property and improve the visual appeal of the area. Unfortunately, limestone is prone to staining from mold but we have a solution. Our technicians use a special cleaning solution for limestone surfaces which washes the surface to a beautiful luster while eliminating the mold in the stone which causes the unsightly stains. The roof often gets neglected. Many people adopt the “out of sight, out of mind,” mentality when it comes to the roof. 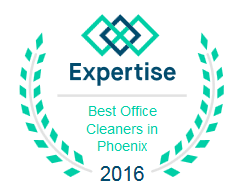 At Arizona Window Washers we are aware of the benefits of roof cleaning. Our power washing will clear all debris and grime from the roof, which could prevent paint or structural damage. Stay off the roof and let the professionals do it. If we find some damage or see that some other services may need to be performed in the near future we will let you know and may be able to recommend local companies who can perform the repairs for a reasonable price. Our bleach injected cleaning solutions provide wonderful cleaning and mold/mildew removal with a low pressure system to reduce potential damage. Any structure or surface containing potential problems (cracks, holes, etc) will be addressed prior to cleaning and if we discover anything after cleaning we will discuss repairs and if we caused it, we will front the repairs. We understand this procedure can cause damage if there is an unseen structural issue, so we will inspect what we can and discuss with you past cleaning or repairs performed so we can handle certain areas with extra precaution or request repairs before proceeding. We want you to be completely satisfied and become a repeat customer of our wonderful pressure washing services.